Electric circuits transfer energy. Electrical energy is converted into light, heat, sound, mechanical work, etc. The byproduct of any circuit is always heat. direction of current flow changes many times a second. In the US, the frequency of change is 60 Hz. Therefore, the current changes direction 120 times per second. As resistors are added in series, total resistance increases and total current decreases. resistors in parallel have the same voltage drop across them. The sum of the currents in each parallel branch equals the total current entering the parallel branch of resistors. Voltage is constant in parallel. the sum of the currents entering a point is equal to that of the currents leaving the point. In a parallel circuit, all the resistors in parallel can be replaced with one equivalent resistance that carries the same current and has the same voltage drop across it. As resistors are added in parallel, total resistance decreases and total current increases. Power companies maintain a house voltage of 120 V. House appliances are connected in parallel. The more appliances on a circuit, the lower the total resistance, the greater the current. Fuses protect against circuit overloading. 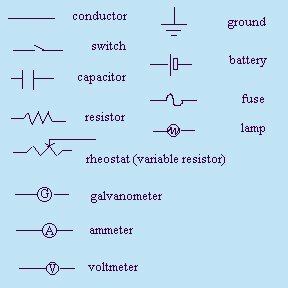 Complex circuits are a combination of resistors in parallel and in series.